We don't have any vacancies at the moment. 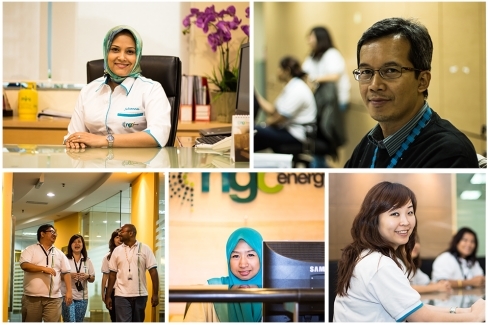 Please email your CV to people@ngcenergy.com for our future references. Thank you. People are our greatest asset, and we invest extensively in employee development for them to achieve their aspirations; at the same time making an impact in the business and communities we live in. Our employee benefits reflect both the market conditions, the levels of skills, and experience we need to remain at the forefront of our industry. Individual contributions are recognised and rewarded through performance-related pay and bonuses. As a caring employer company, we offer a competitive package that takes care of employees’ well-being and their families. Applications will be reviewed by our Team. Only applicants with professional qualifications and experiences that match our current requirements shall be contacted. Personal Data that is submitted to us is bound by the Personal Data Protection Act 2010, which sets out a number of principles concerning the personal data protection in Malaysia. Personal Data provided in connection to an applicant for employment shall be used to determine his/her suitability for a position with the Company; if applicable, to determine the terms of employment or engagement. We will retain the applicant’s details in our database and shall contact when a suitable opportunity arises; which might be of mutual interest. We sincerely appreciate that you considered NGCE as your prospective employer and wish you every success with your career.